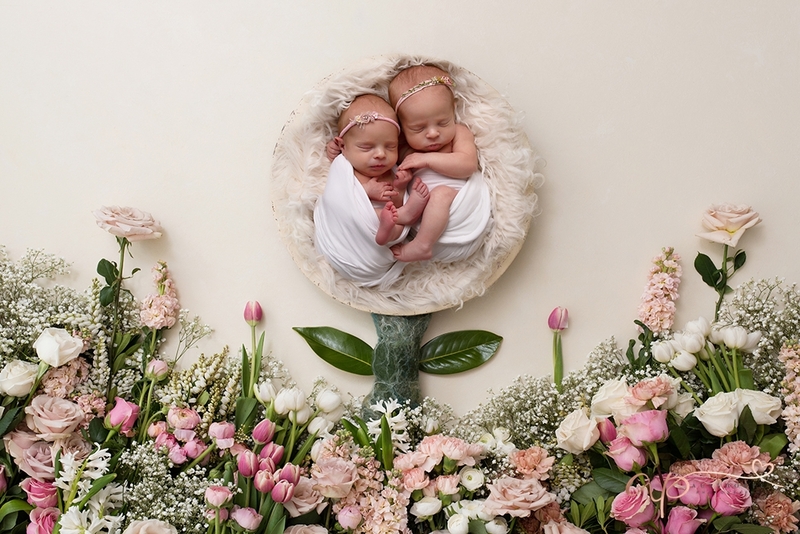 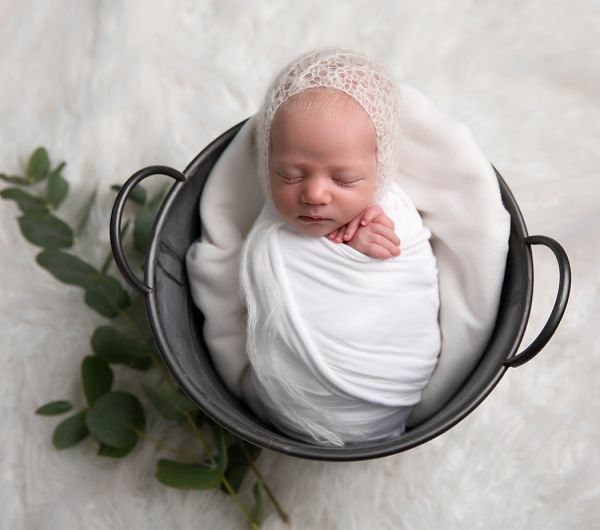 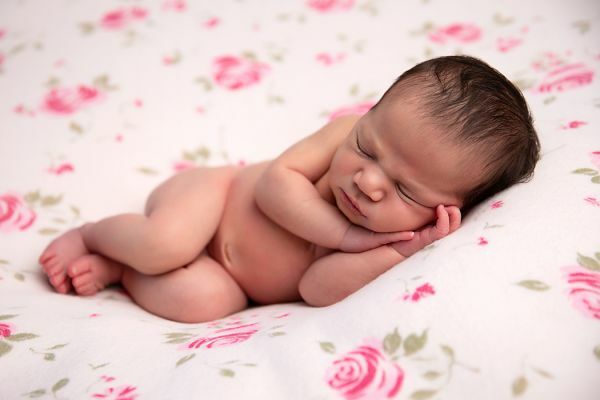 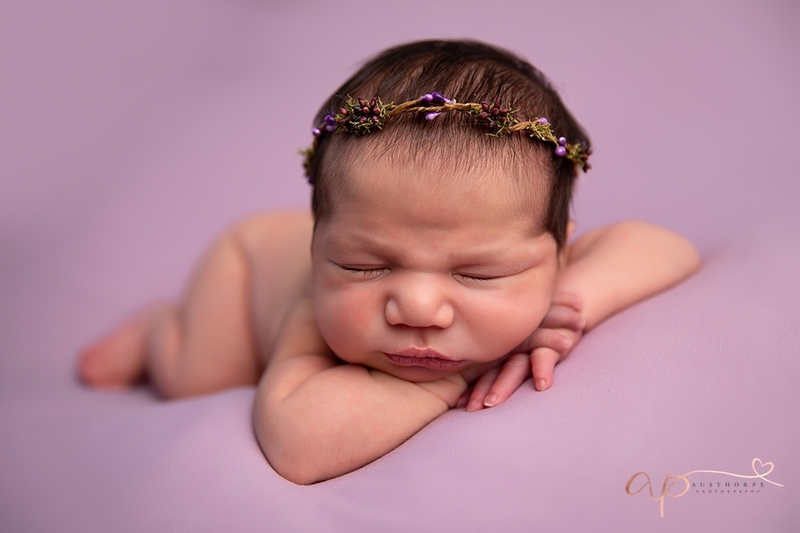 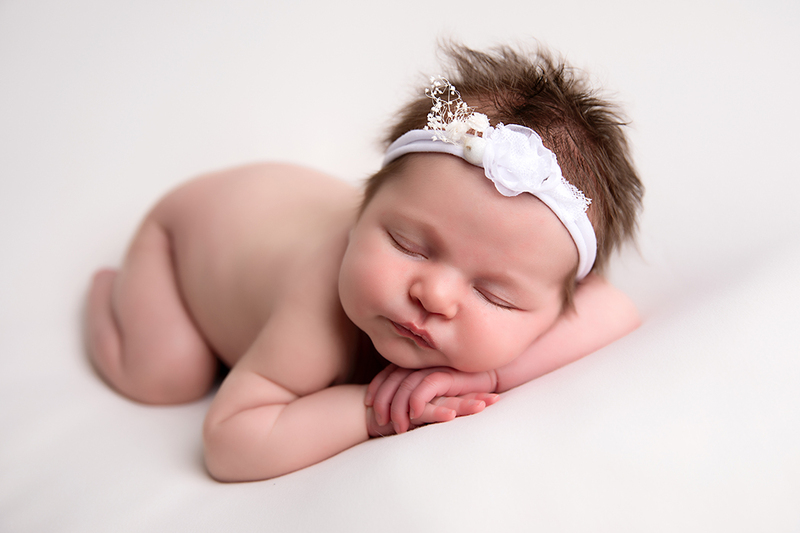 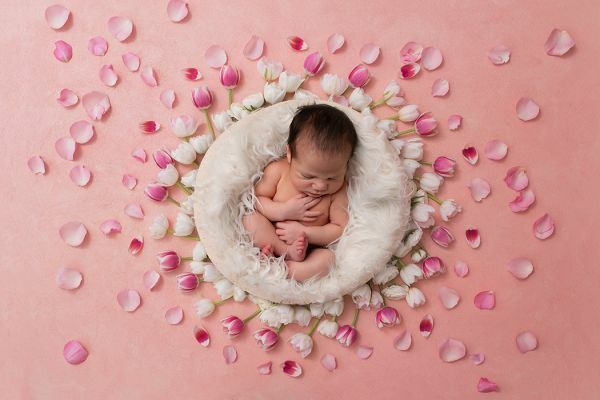 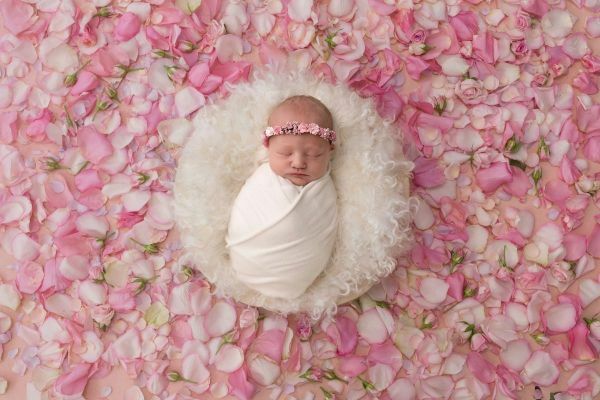 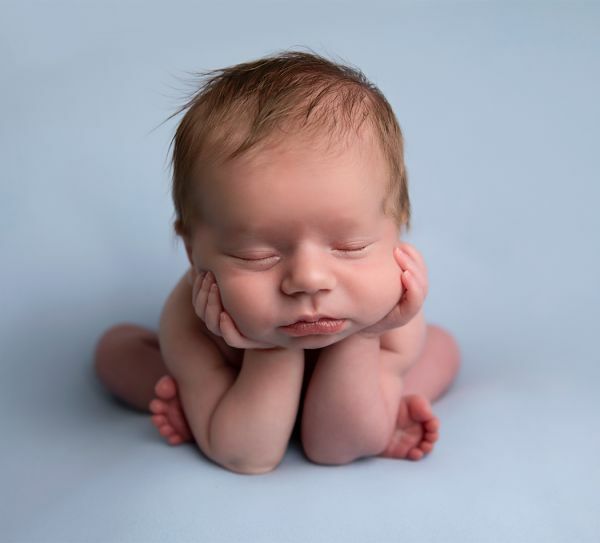 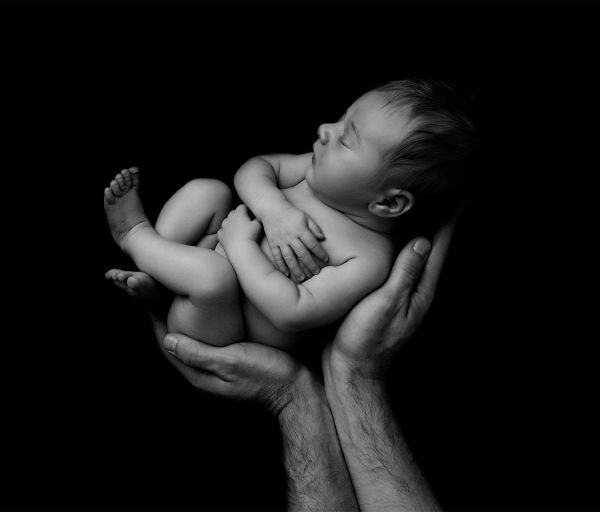 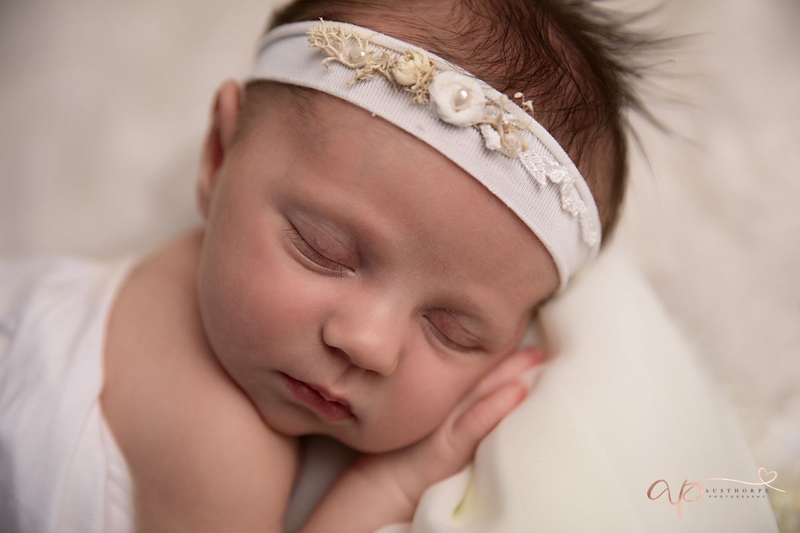 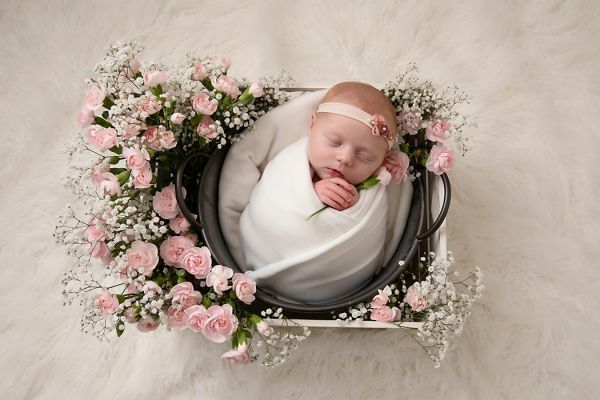 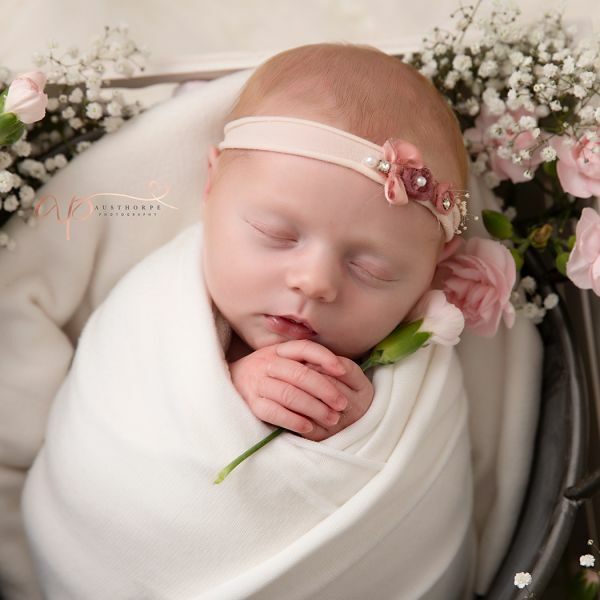 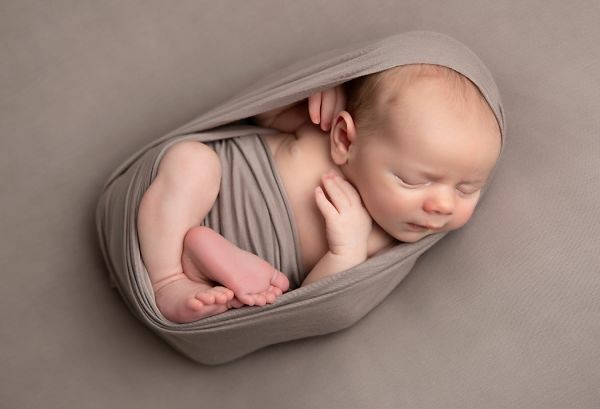 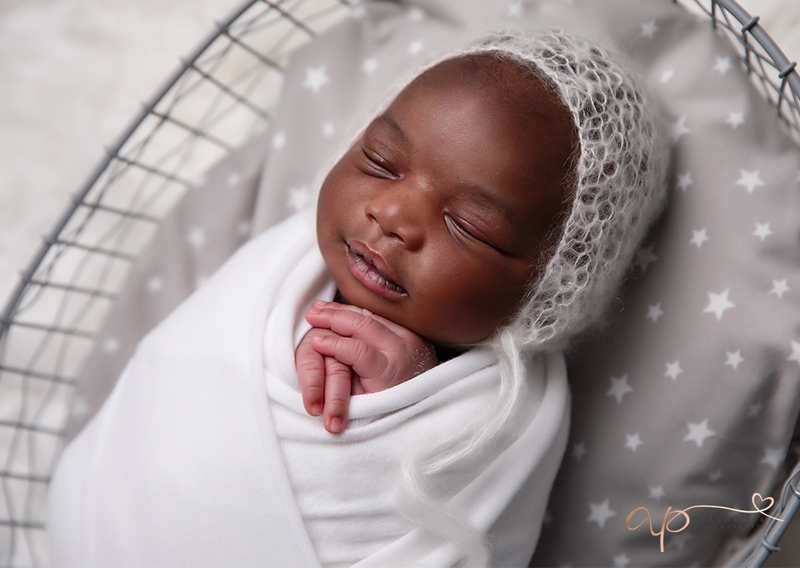 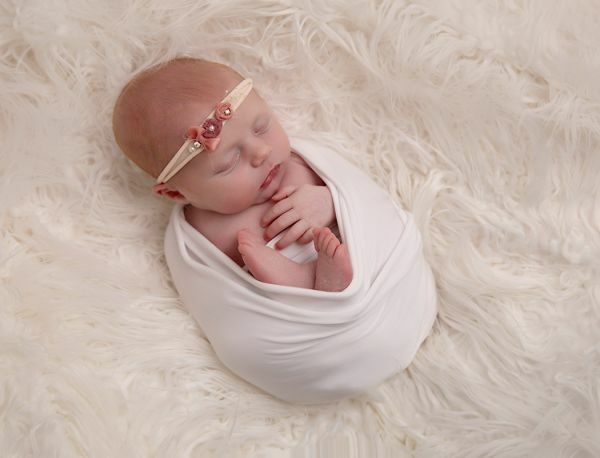 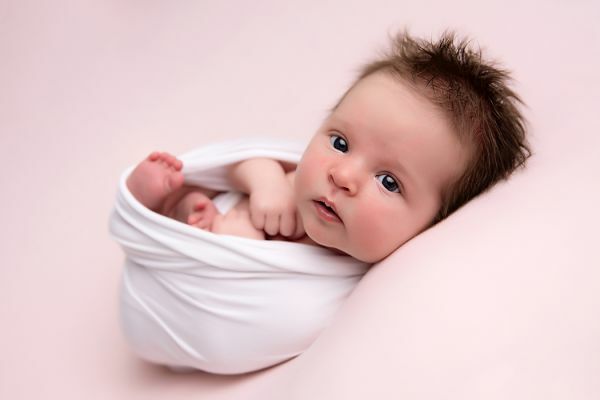 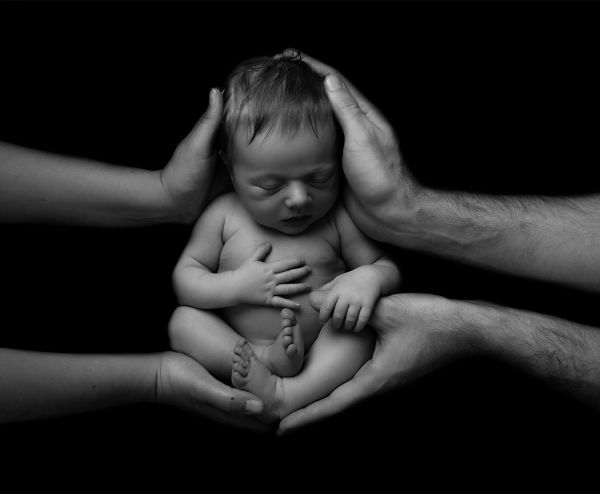 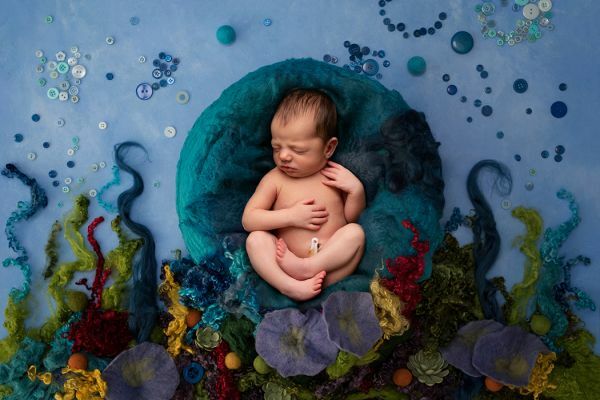 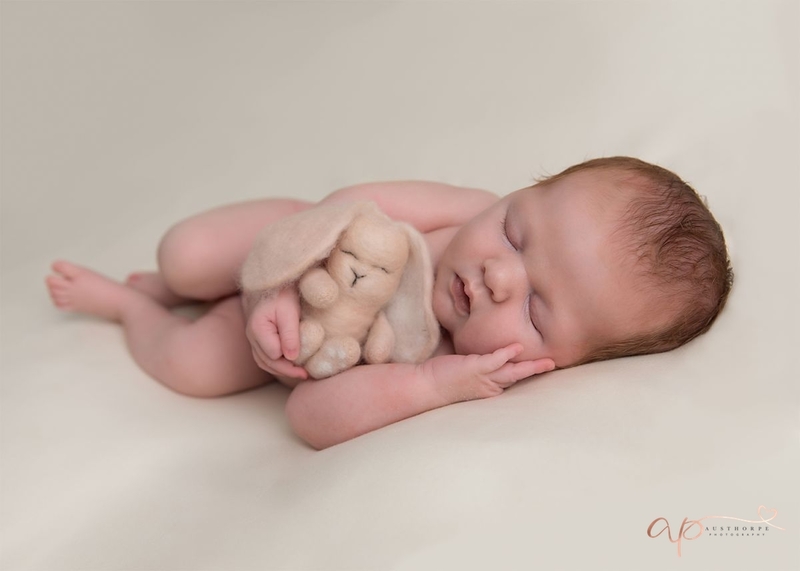 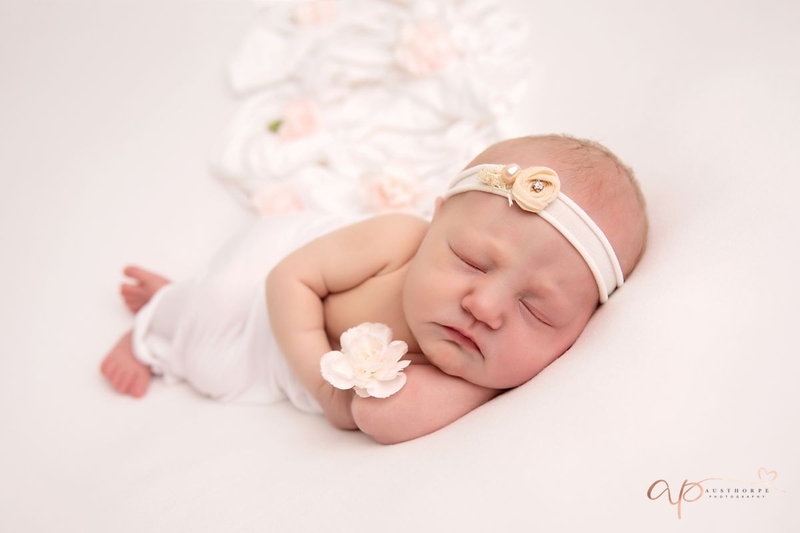 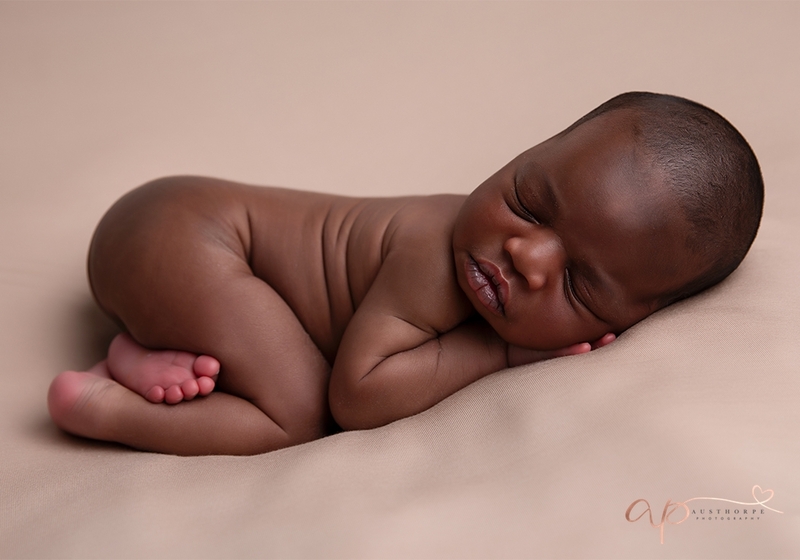 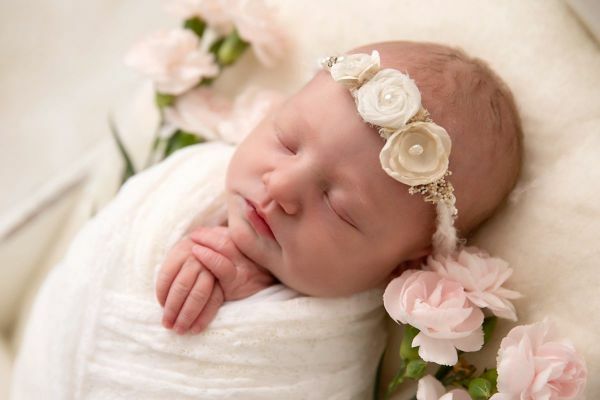 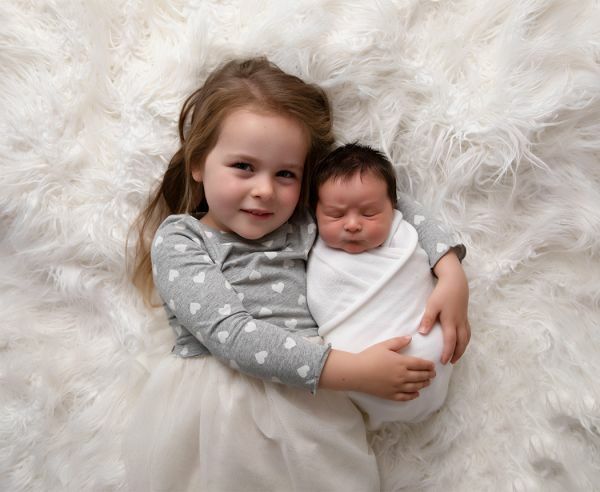 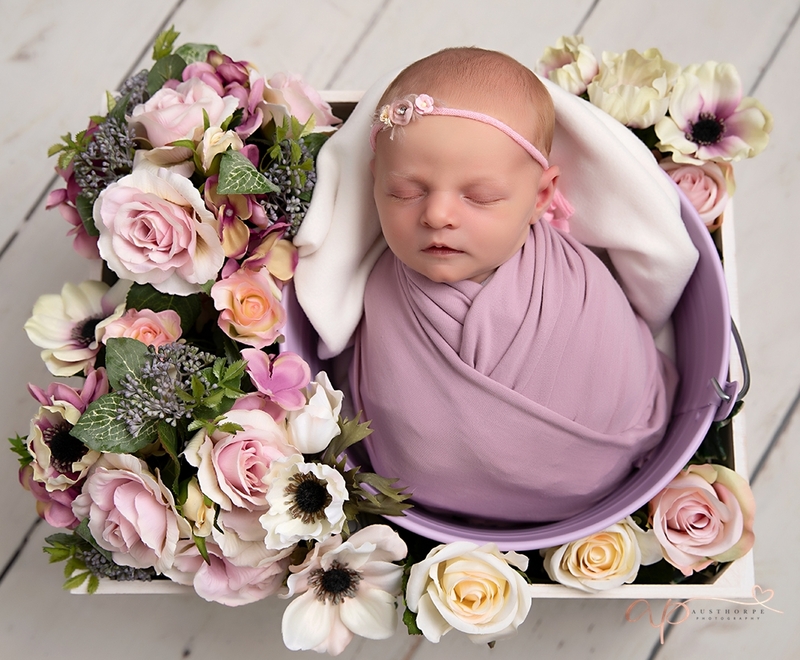 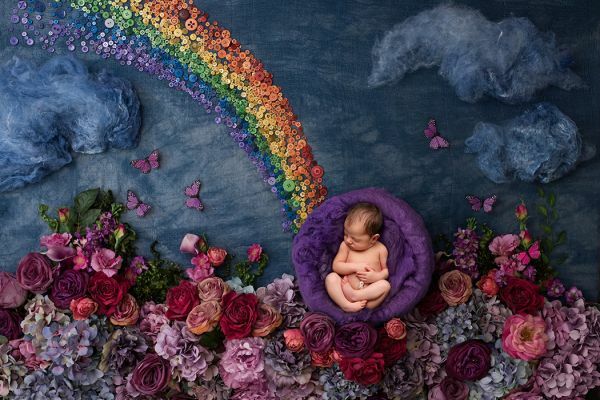 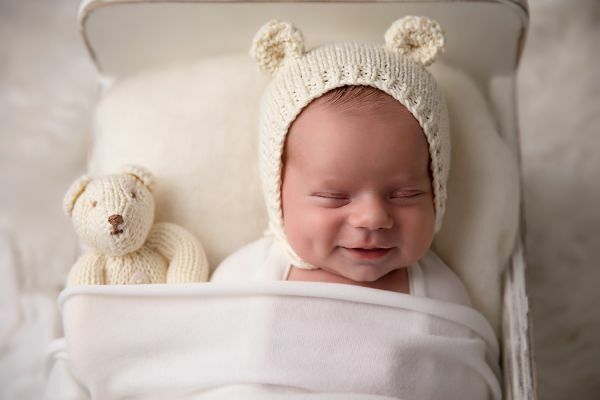 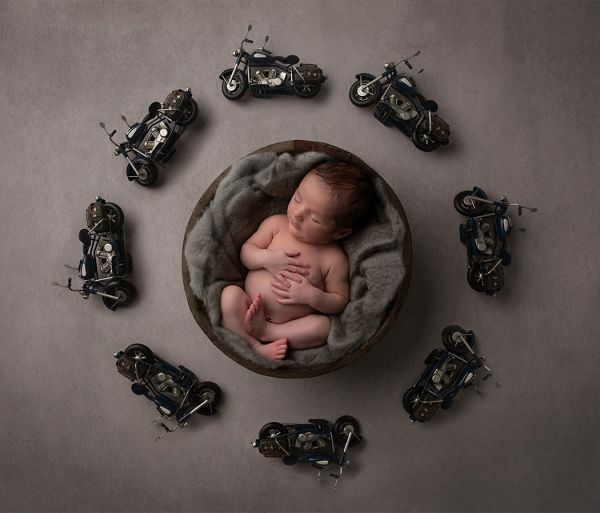 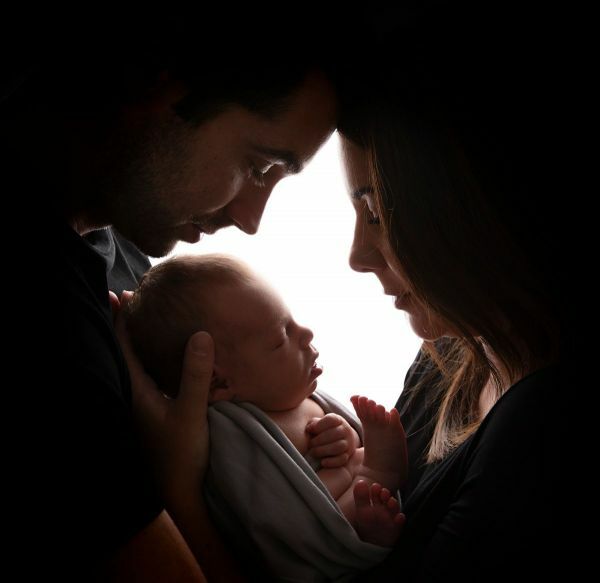 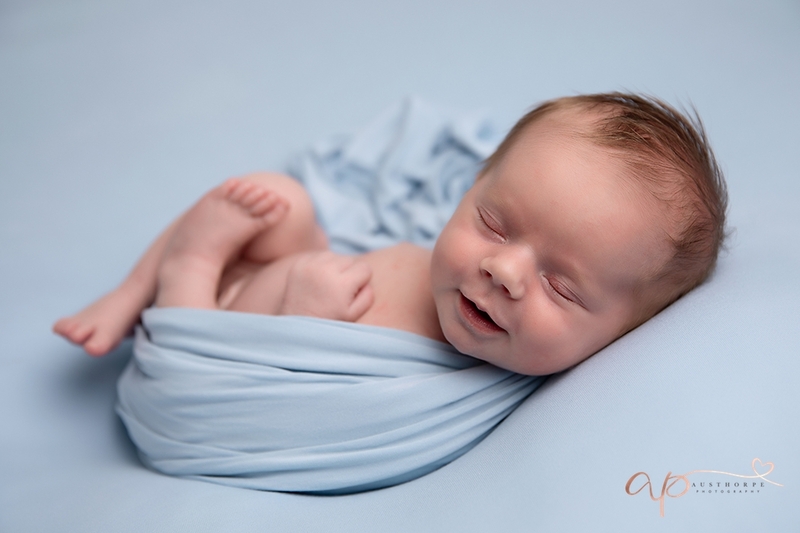 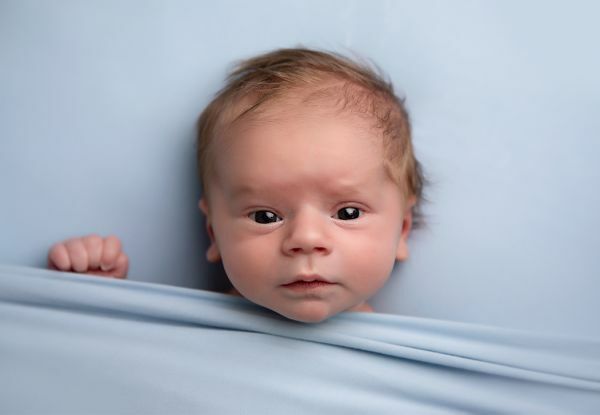 Newborn Photography Sessions are suitable for babies aged between 5 and 21 days old. 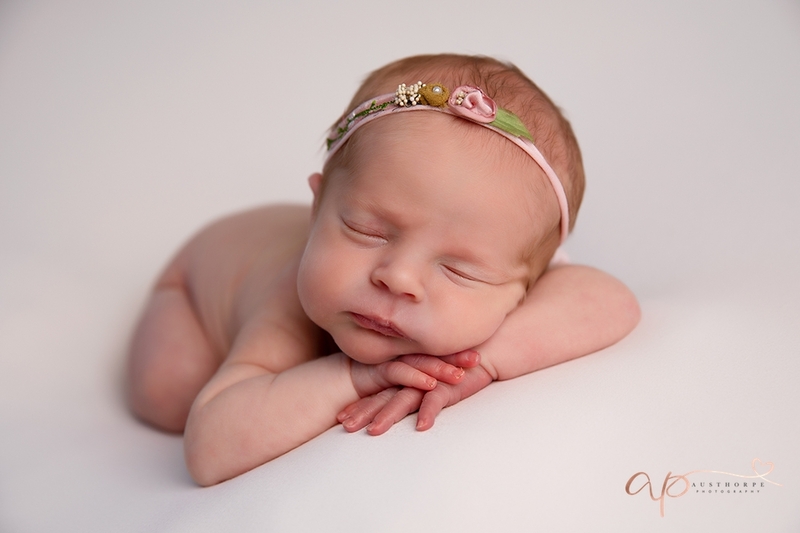 Firstly, thank you for considering me to photograph your baby. 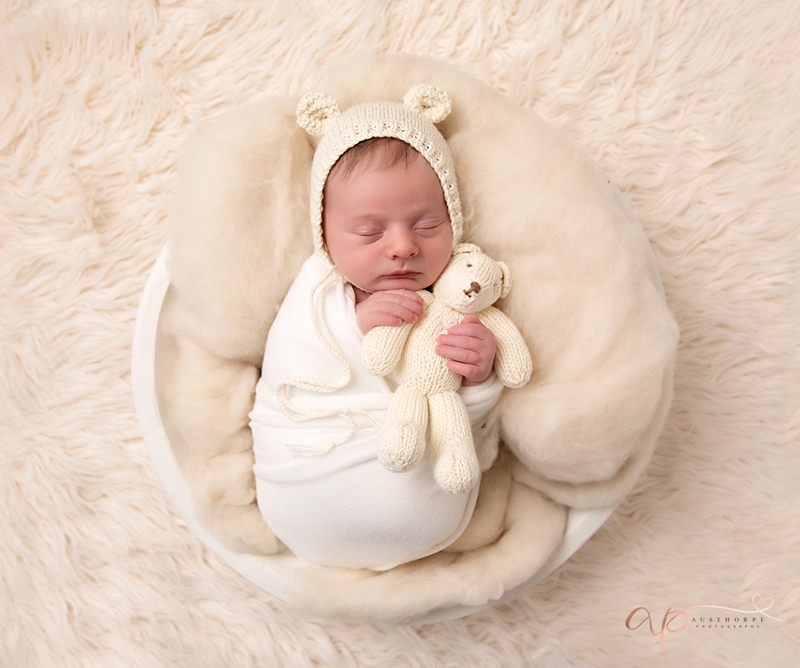 I look forward to welcoming you to the studio to capture timeless, beautiful portraits that you can display proudly in your home. I work differently to most other photographers. Before all of my sessions I chat with my clients (either over the phone or at my studio) and we go over your style, what poses you like and where you envisage displaying your photos. This helps me to plan your session and enables me to shoot purposefully and create a beautiful, bespoke gallery just for you. I book newborns in after their 20 week scan as it’s the only way I can guarantee them a slot. 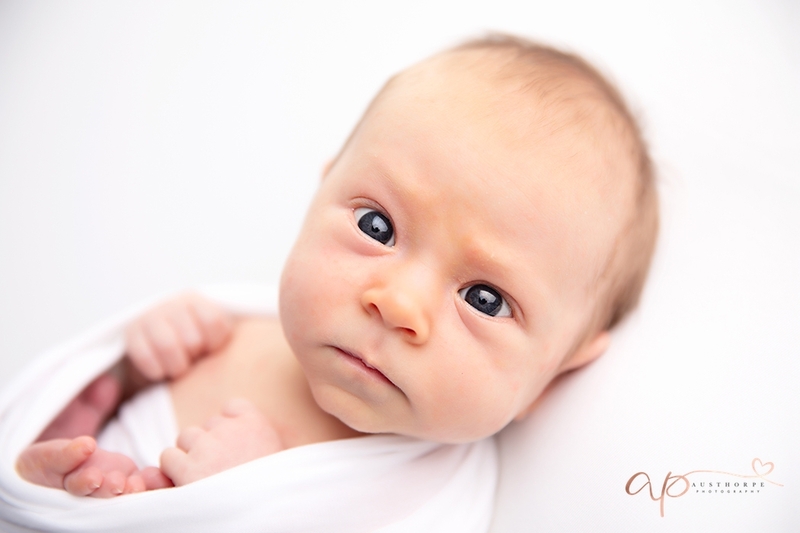 You just need to pay a £99 deposit at the time of booking and this amount will be deducted from your final invoice. 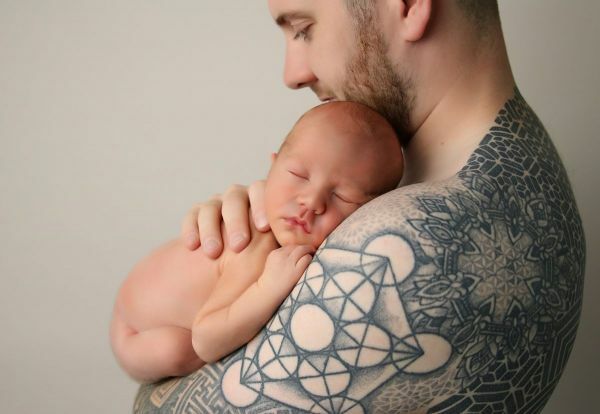 You can pay your deposit right now using PayPal or contact me for my bank details. 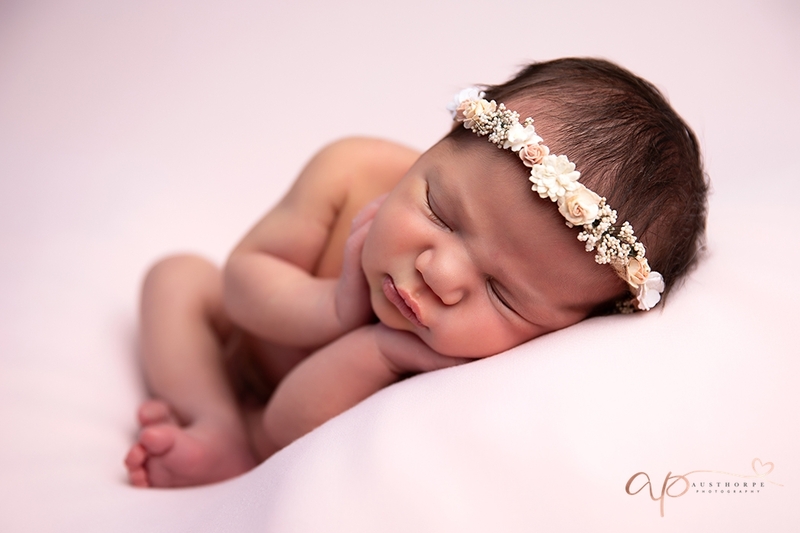 Contact me for further information or to book your Newborn Photography Session. 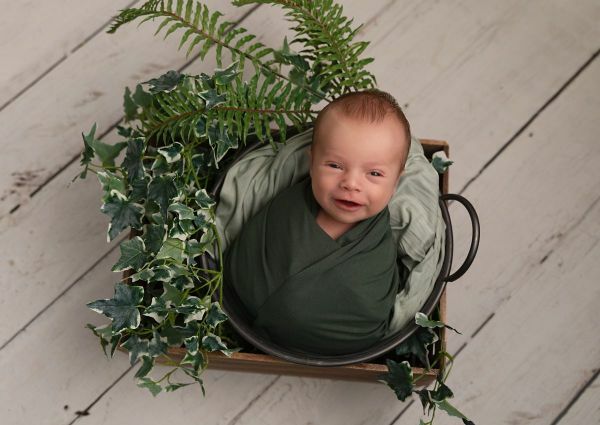 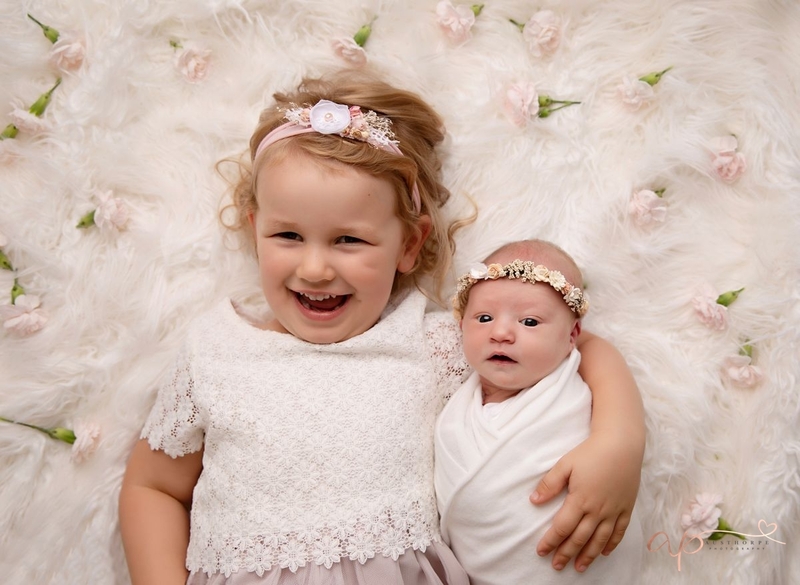 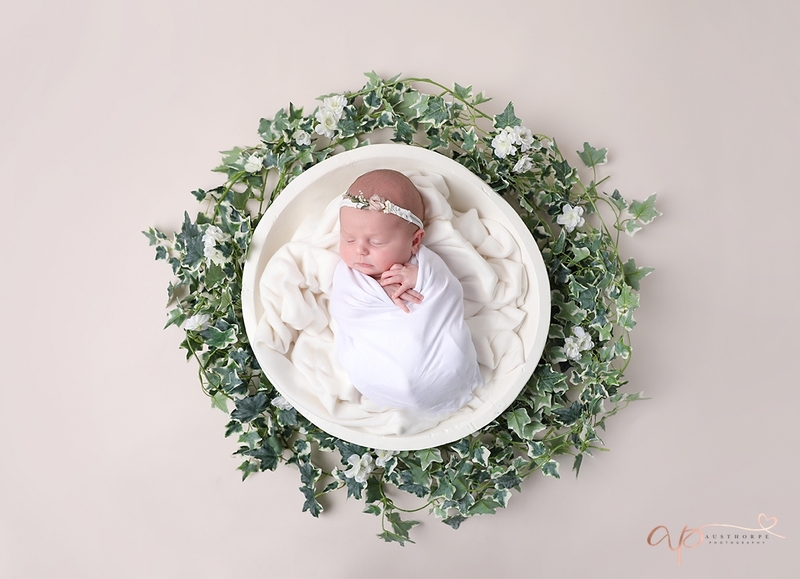 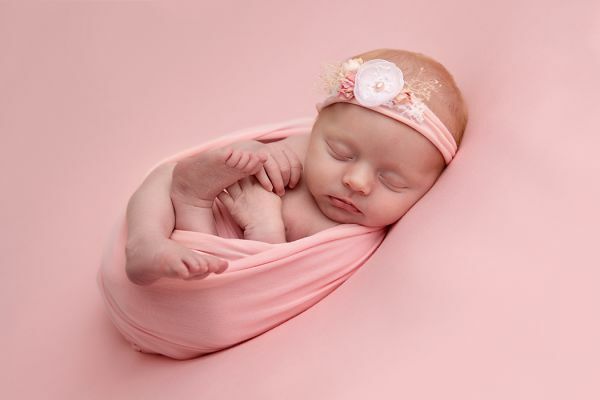 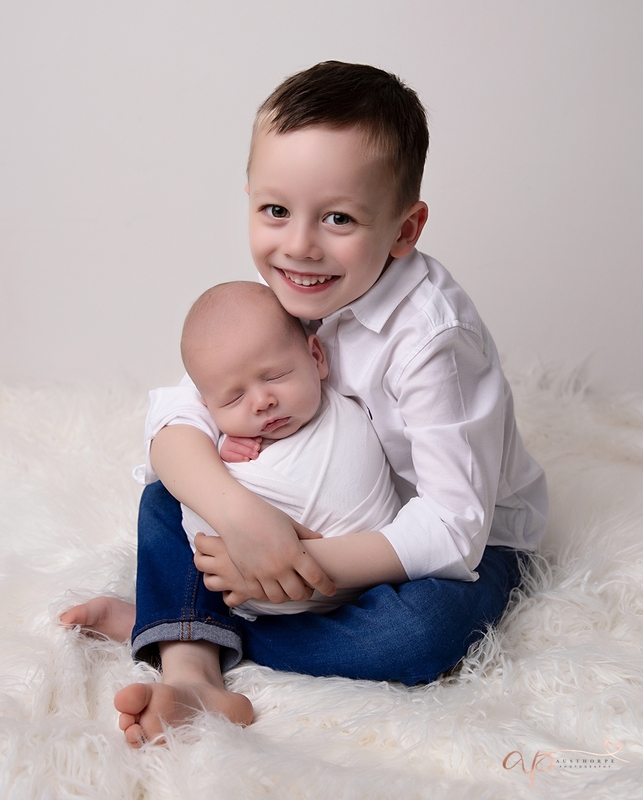 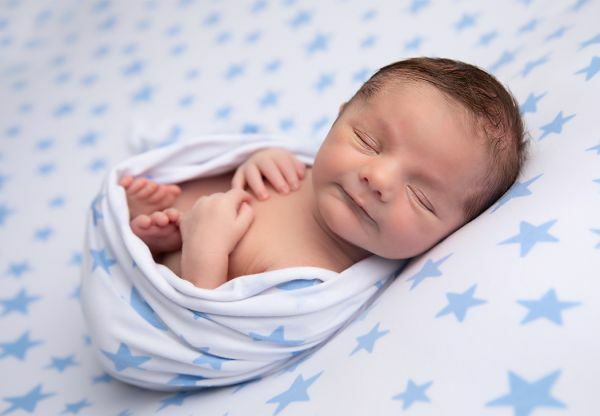 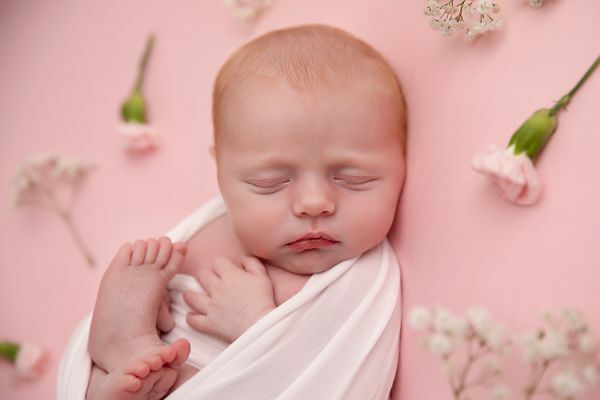 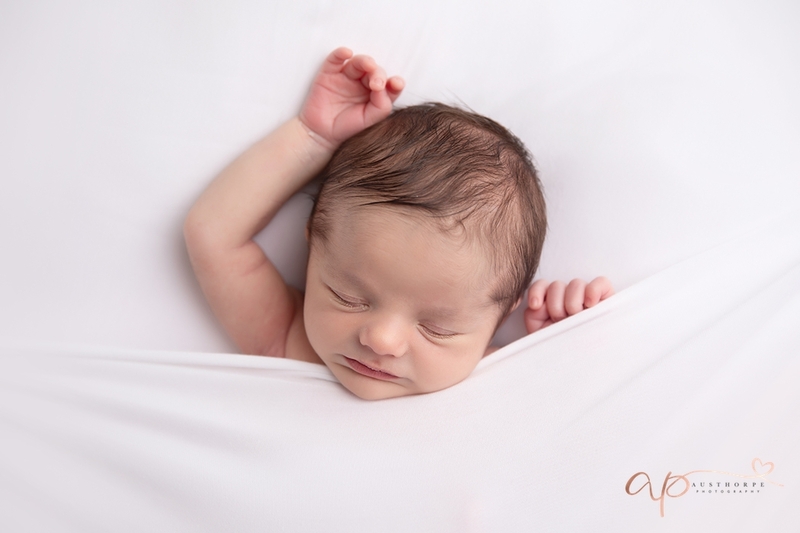 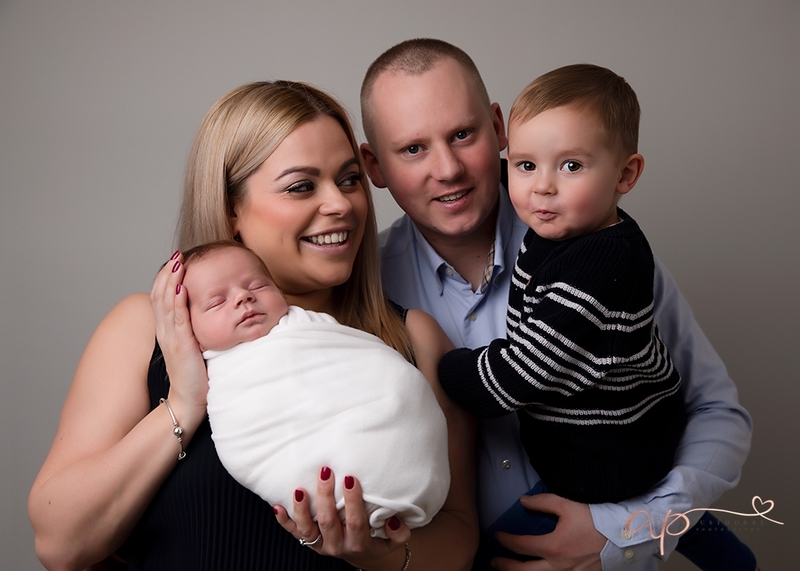 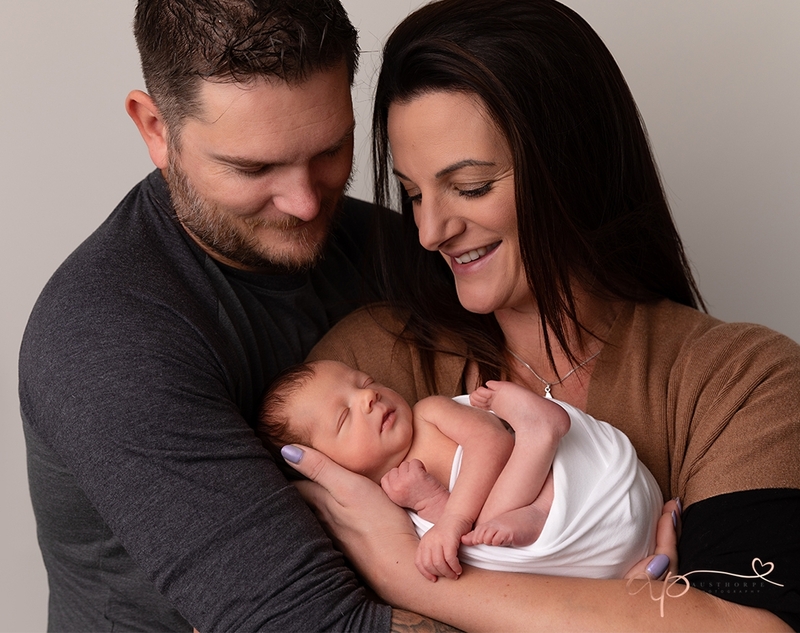 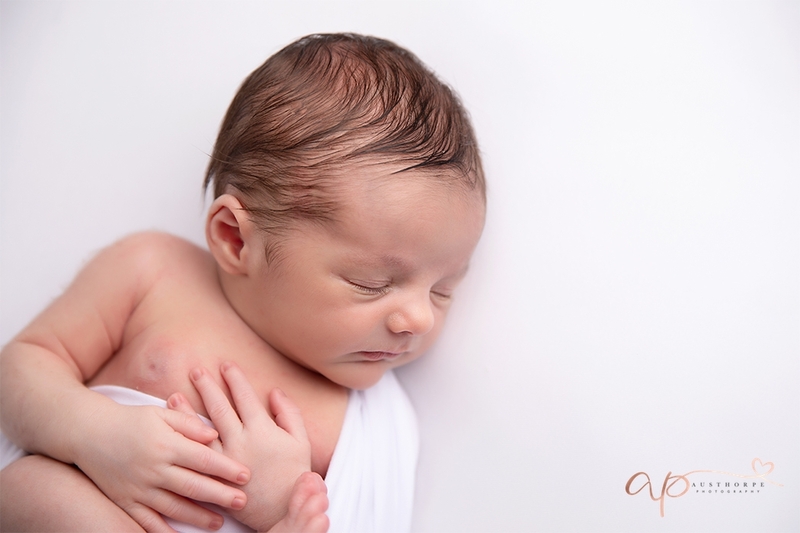 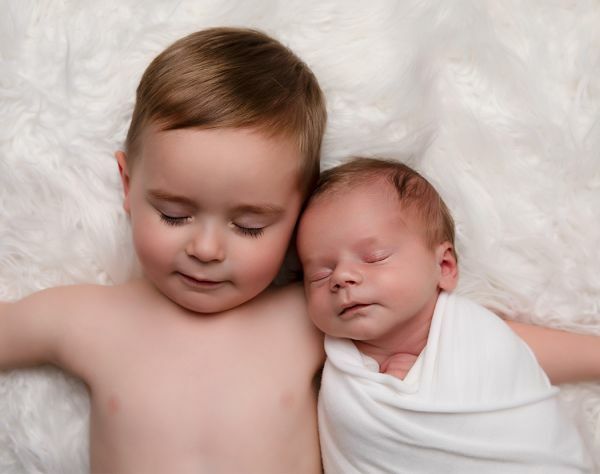 Austhorpe Photography is based in Garforth, Leeds however we have clients travelling from Wakefield, Wetherby, Harrogate, York and beyond for our Newborn Photo Shoot. 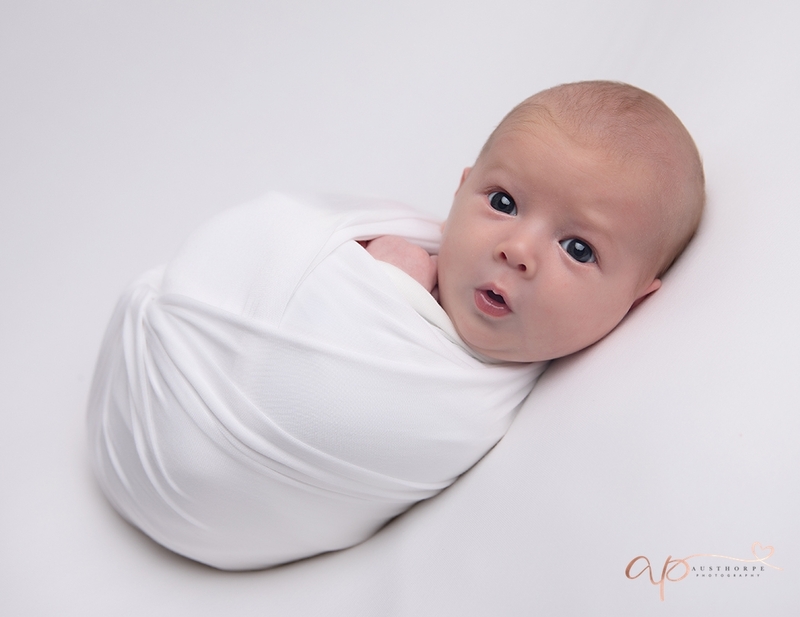 I am always flexible on shoot times to accommodate your travel requirements so don't let that concern you. 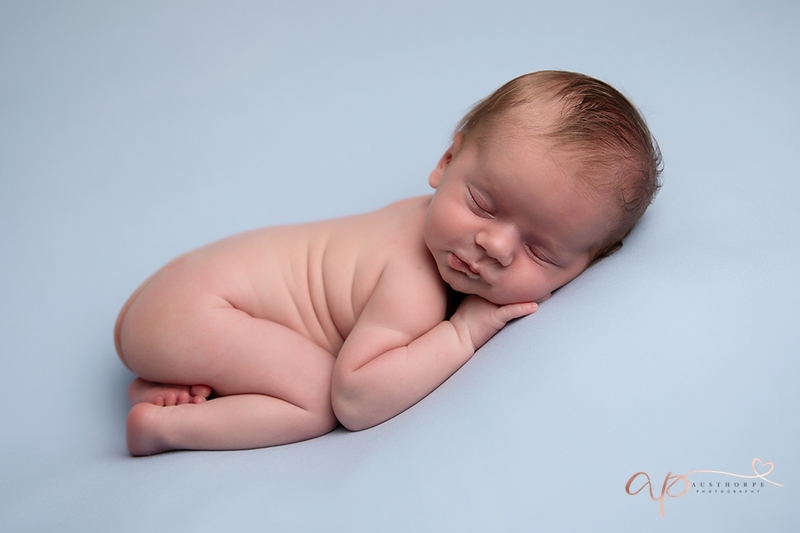 Before you arrive for your shoot, I will be in touch to go over what style of images you are most drawn to. 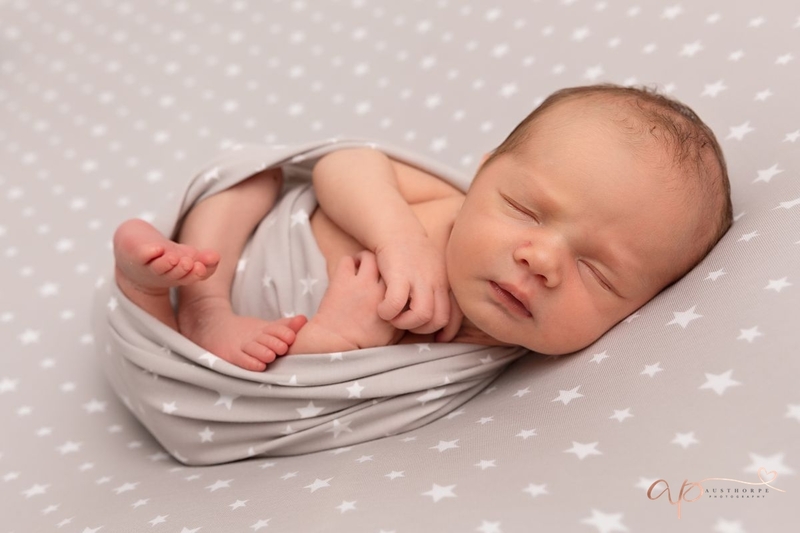 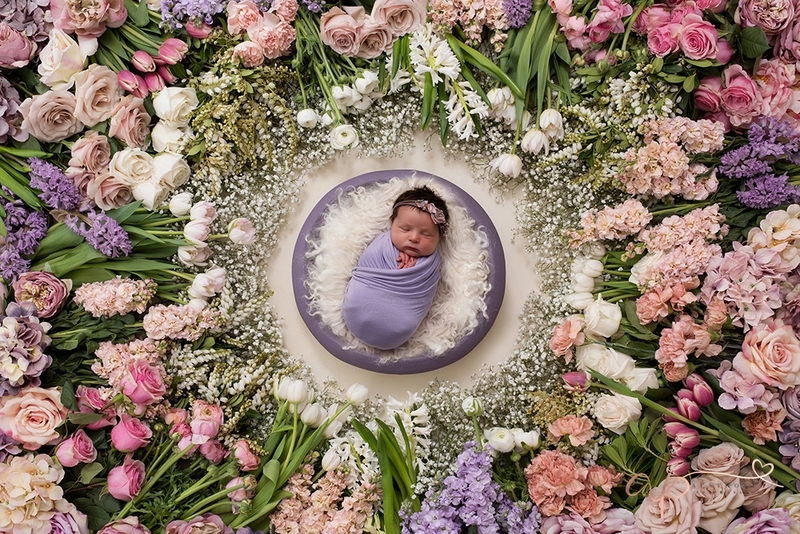 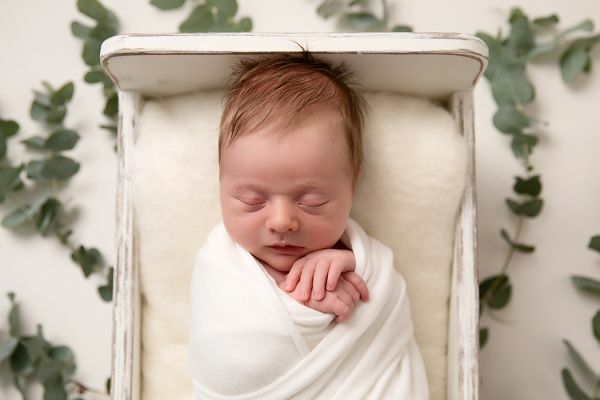 Your newborn shoot is totally bespoke and tailored to you and your tastes so it’s important for me to get an understanding of what type of images you love and what will look beautiful in your home. At your shoot, I will invite you to sit back and relax while I tend to your baby. 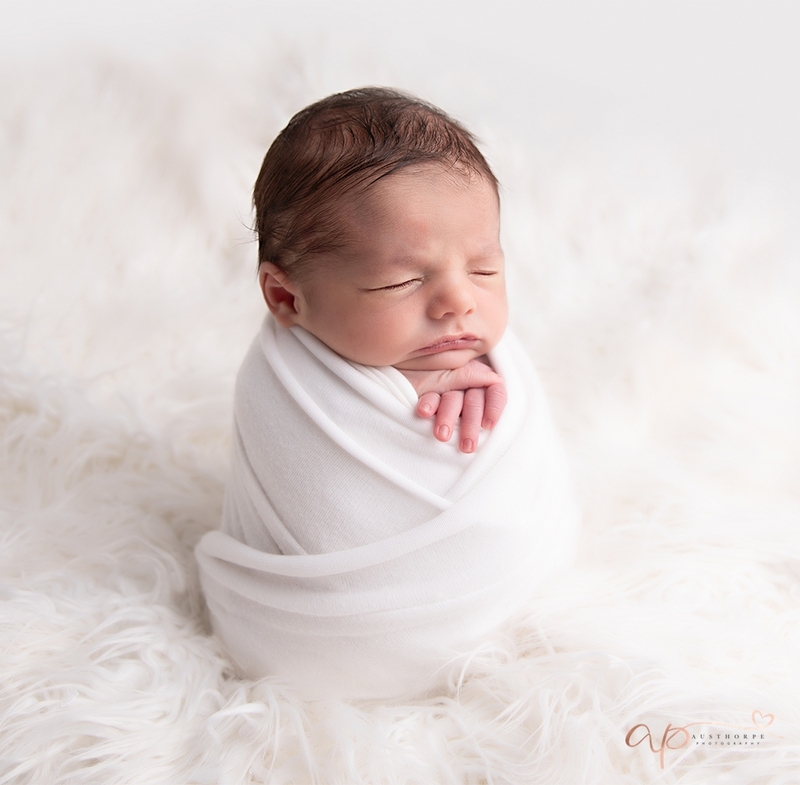 The aim is to get your little one full, comfortable and warm and then I can work through a number of poses and create a gallery of images for you to choose from. 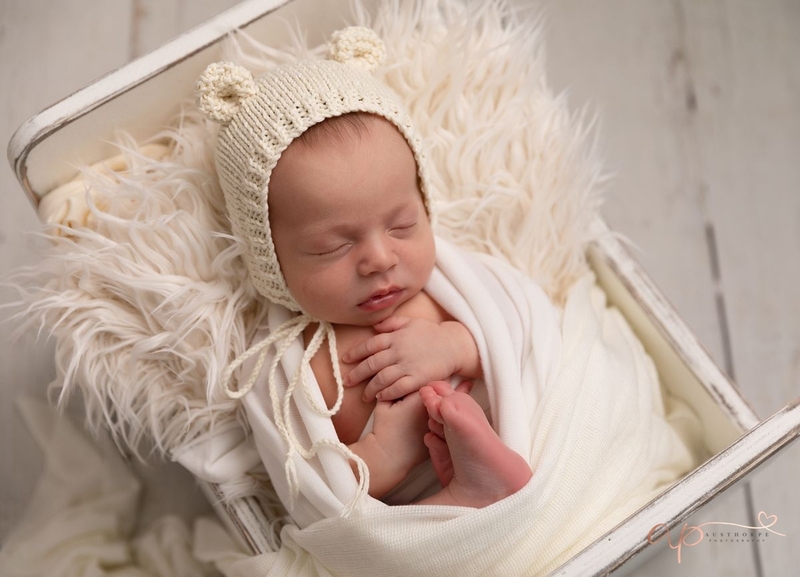 After your shoot, I will edit approximately 20 photos and invite you back to the studio to view your images and place your order. 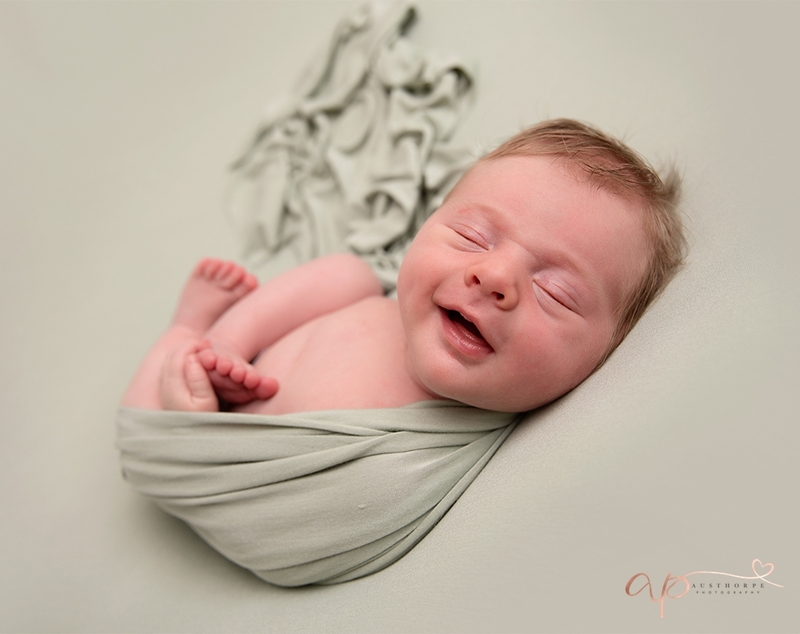 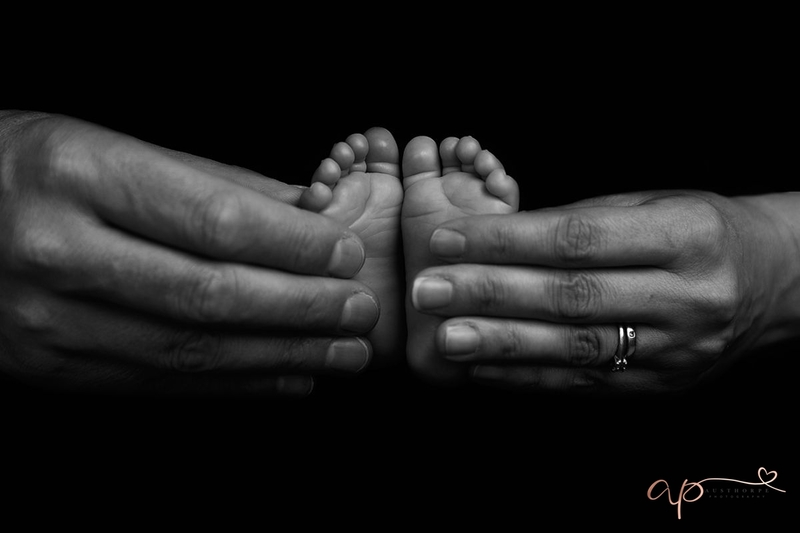 You may find my blog How to Prepare for Your Newborn Shoot helpful. 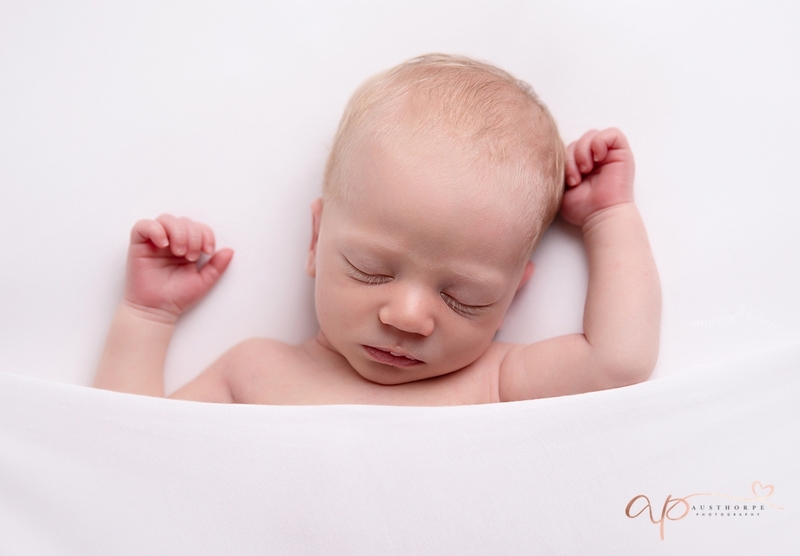 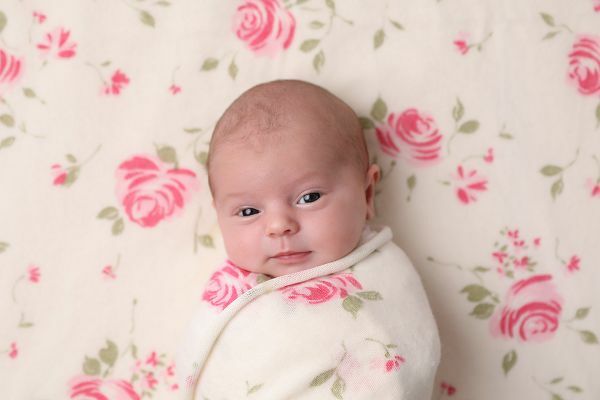 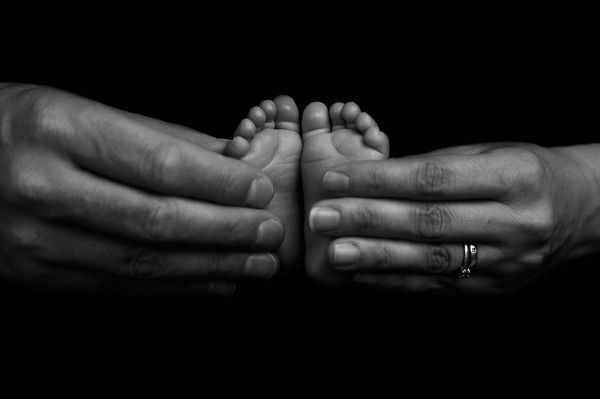 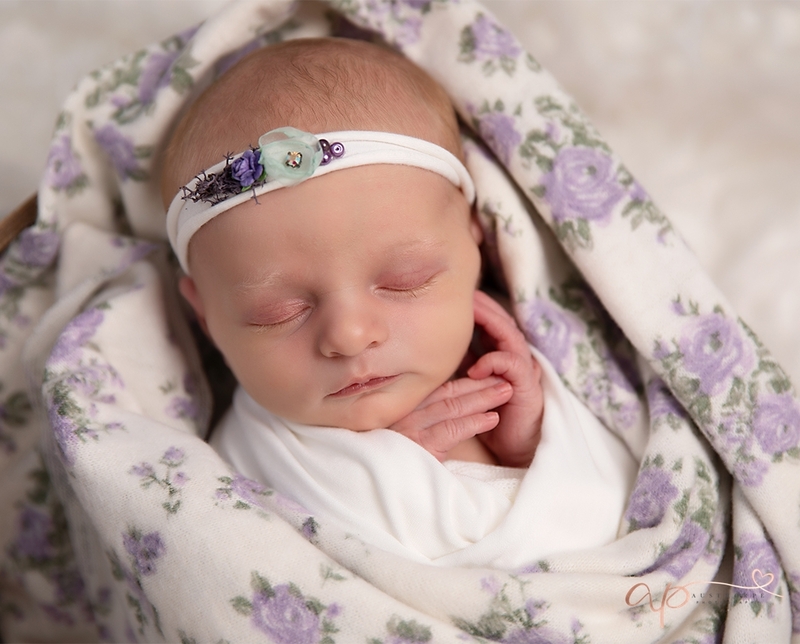 If you have any questions about how my Newborn Photography, please don’t hesitate to get in touch.